Paramotor Canada: Do Canadians need a license to fly a paramotor? Paramotoring isn't a popular sport in Canada, and the stats for this website show that only 3.7% of visitors are coming from Canada. I think I know where the problem lies, and that same problem is grinding the gears of a few Canadian instructors. The main problem is tighter regulations and licensing, but is it really that difficult to get your license? And is it really necessary? Let's find out.. In Canada, paramotoring is regulated under Transport Canada (TC). Anybody that wants to fly a paramotor there, must follow a simple list of regulatory requirements. TC say that if you fail to follow these requirements, you could be smacked with a hefty fine. So what does it take to get your paramotoring license in Canada? In Canada, paramotors are basically treated the same as ultralight aircraft. You will need to obtain a permit, but you will be restricted to flying powered paragliders. You'll start out by doing the exact same training as pilots in other countries. This training will get you ready to fly, but before you can solo the paramotor, you'll need a student-pilot permit. To get your student-pilot permit you'll need a medical certificate, but this certificate is a self declaration. This means that you won't need the doctor to run physical tests before he signs you off as fit to fly, as you would with many other forms of aviation. Within 2 years of getting your student permit you will need to complete a minimum of 5 hours of flight time, including a minimum of 30 takeoffs and landings. This should be under the direction and supervision of an instructor that holds a valid flight instructor rating. Training must be a minimum of 20 hours in length, and it must cover air law, practices and procedures, aerodynamics, air navigation, meteorology, engines, airframes, flight instruments, flight operations, human factors, pilot decision-making process, and emergency procedures. There's heaps of information on this website, and a training eBook HERE to help you through training. When you've completed your training, your instructor will contact Transport Canada to let them know you have met the minimum requirements for licensing. You'll then sit an 80 question written exam at the Transport Canada office. You'll have 3 hours to complete it and the pass grade is 60%. If you pass you'll get your permit which will be endorsed with "parachutes only." So that's it, you've got your license! The only difference between Canada and other countries is the medical certificate, the student permit, and the exam. To be fair, pilots in other countries don't need to meet minimum flight times throughout training, but most will probably clock up more than 5 hours anyway. What else is required to paramotor in Canada? The last thing you need to have is liability insurance that covers you up to $100,000. This insurance is very cheap, in the UK I pay the equivalent of $160 per year. Do you really need to get a license? If you've been looking into paramotoring in Canada you've probably come across Jean Gauthier. Jean has been flying in Canada for many years without a license, and he believes that a license is not necessary. So does this mean you don't need to get a license? 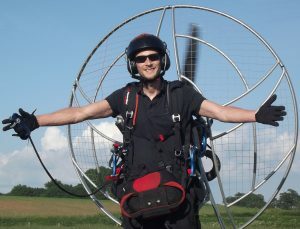 Transport Canada has the authority to introduce paramotor regulations, and although Jean hasn't been fined yet, it could certainly happen if it went to court. It seems Transport Canada don't want the regulations to be challenged in court, so they refuse to enforce this in most cases. Notice I said in most cases, as there are stories of people having all of their equipment confiscated by Transport Canada. I'm not sure whether these stories are true, but when obtaining your licence is so simple, I don't see any reason to risk it. So what's the difference learning to paramotor in the US compared to Canada? All pilots need training, and most pilots opt for insurance. So the only extra is the student permit, the exam, the medical, and the registration. The student permit, the medical, and the registration are very straight forward, so is it really just the exam that's holding Canadians back from learning to paramotor? 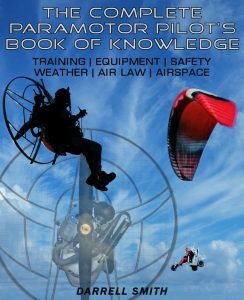 All paramotor pilots should understand things like air law, navigation, aerodynamics, meteorology etc. Before I took my first flights outside of training, I spent two months reading up on the theoretical side of paramotoring, I think this made me a better pilot initially. Revising for the exam shouldn't be anything different than this, and it will most definitely make you a better and safer pilot. 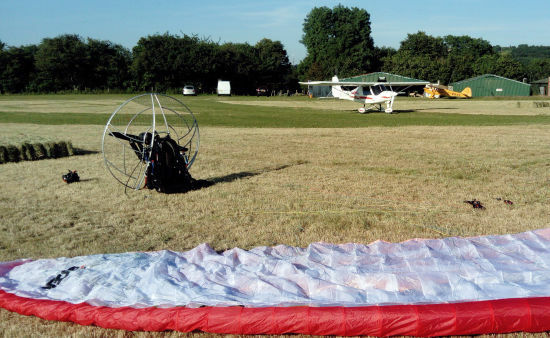 And if you have a passion for flying, and a love of paramotoring, learning these things will be quite enjoyable! With a good instructor you won't be expected to learn these things outside of training like I did. In Canada this is an essential part of training, so everything asked in the exam will be taught to you by your instructor. One more thing that could be holding people back is the lack of training options. There aren't many instructors in Canada, so you may need to travel a long way to get trained. Unfortunately the sport is very weather dependant, so booking time off work to fit in with training can be a problem. This is an obstacle many pilots in the UK also face, and booking off flyable days at the last minute is difficult. I've been there and I know how hard it is, but if you want it bad enough you'll find a way! Thanks for checking out paramotor Canada! If you've decided to pursue the sport you'll need some gear, so start by checking out some paramotor helmets HERE. Or learn some great tips and tricks HERE.